This vehicle is loaded with great features, plus it comes with the CARFAX BuyBack Guarantee. 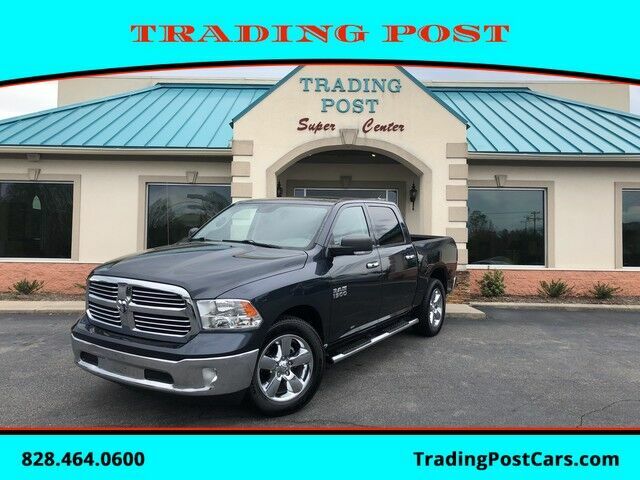 Looking for a Ram 1500 Big Horn that is in great condition inside and out? Take a look at this beauty. The Ram 1500 Big Horn will provide you with everything you have always wanted in a car -- Crew Cab, Hemi engine, and 20 inch Chrome wheels. Must see the Beast!! Give our sales team a call at 888-805-8558 or check us out on the web at www.tradingpostcars.com for more pictures and a live video of this car. Family-owned and operated for over 40 years with an A+ rating with the BBB! We would love for you to come be a part of our family!